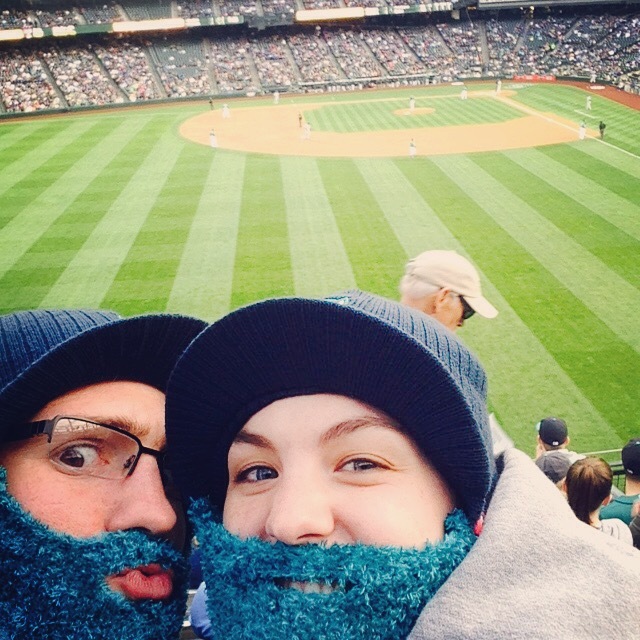 This year we decided to buy a 20 game Season Ticket for the Mariners Baseball. Growing up in Florida, I went to a lot of Spring Training games for the Marlins, Dodgers and the Nationals and have always been a fan of live baseball games. We went to about 5 Mariners games last year and even though they may not be the best in the league, they were always good fun to go to. So far we have been to 3 games, 2 nights and one day and the Mariners have lost all three. I do know all the players names by heart, their bios and their batting averages. I am crossing my fingers that the Mariners will soon get on a winning streak and that the batting and pitching are both superb. 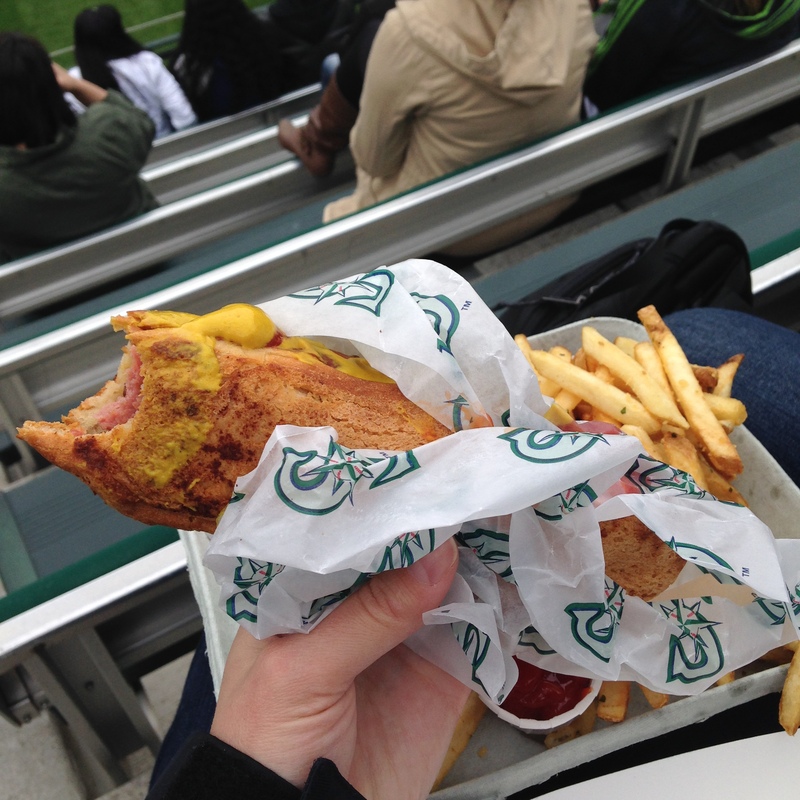 As for food offerings at the ballpark, Safeco Field has a lot of GF options. They have a natural section which has GF hotdogs, buns, sandwiches, salads, ciders and beer. I definitely don’t need to bring my own snacks and know that I can enjoy the game with a happy tummy. Here are a couple of pics from our past few games. The first night they had a freebie for the first 20,000 fans and they got a Beard Hat. I love mine!